Stephen King has been going through an epic cinematic renaissance lately. We’ve seen a glut of fantastic, interesting big and small screen takes on the horror master’s work—and maybe one not so great attempt, sorry Dark Tower fans. 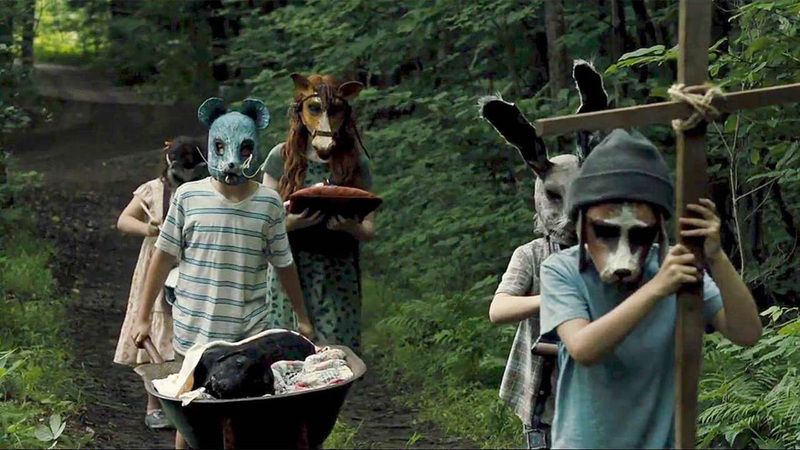 The latest endeavor is a reworking of his 1983 novel Pet Sematary from directors Dennis Widmyer and Kevin Kolsch, the duo behind indie horror hit Starry Eyes. And it’s…fine. That single underwhelming sentence pretty well sums up my feeling on the movie in total. It’s a slick, well-constructed studio horror offering that often favors gore over scares, makes at least one major but understandable change to the source material—which has been given away in every damn trailer—and provides a modestly entertaining watch for genre fans that I’ll never need think of again. Not the first Pet Sematary adaptation, I think I prefer Mary Lambert’s 1989 version. They both tell the same story and aside from aesthetic choices, this does little to differentiate itself from that iteration. In fact, it often plays more like a remake than a separate adaptation of King’s novel. Widmyer and Kolsch’s film feels beholden to it and at least twice play off of the audience’s assumed memory of that film. At two key points, perhaps the two most enduring images from the book and earlier movie, they set up a moment like the predecessor, only to tweak the outcome just enough to subvert expectations ever so slightly. It feels more concerned with riffing than delivering substance or insight. At its core, Pet Sematary is a horror take on dealing with trauma and tragedy. 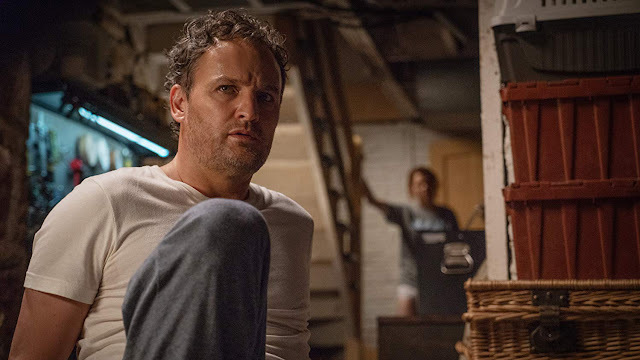 It centers on a family, the Creeds—Louis (Jason Clarke), Rachel (Amy Seimetz), Ellie (Jete Laurence), and baby Gage (Hugo and Lucas Lavoie)—newly relocated to a small Maine town, coming to terms with grief and loss. They’re haunted and tormented, and when their new neighbor, Jud Crandall (a grizzled, cigarette-stained John Lithgow, who is my new style icon), shows them a spot in the woods that brings dead things back to life, though they’re not the same, it further complicates the familial pain. 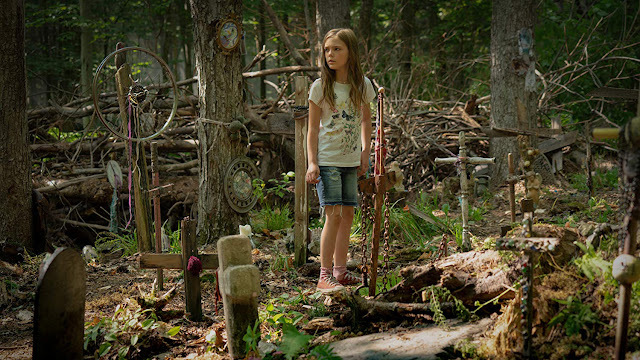 Pet Sematary hits all the horror markers. The dark, gloomy woods are constantly cloaked in fog, like a smoke machine left on at a high school dance. Early on, after an off-screen traffic accident, we see a dude’s brain leak out of his skull. There are creepy kids, a funeral procession where creepy kids wear creepy masks, local Native American myths, and lots of horrified reactions to horrific things. The production design of the Sematary, and the improvised bulwark to keep people away from the sinister spot in the woods, provide nice spooky elements. But it never sits with the sadness and pain, never reflects on the distress and damage. It’s all surface level theatrics and never delves into the darkness and parental despair, leaving the actors with little to chew on. The window dressings provide mood and tone, but few real scares and little tension. 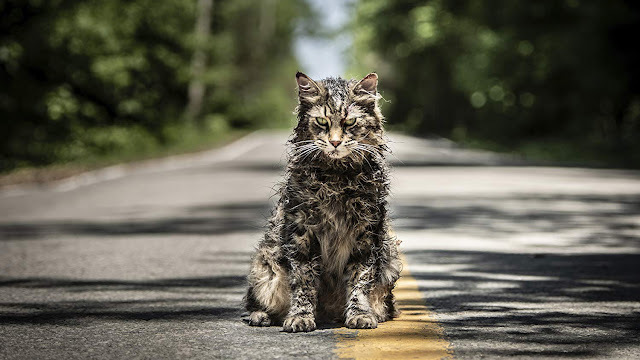 Out of its premiere at SXSW recently, many folks shouted praise for Pet Sematary, but I just don’t get the raves. From my perspective, while it’s okay—genre enthusiasts and those with a particular affection for the source will likely find more to cling to—it never does much to distinguish itself from the horror horde. I enjoyed it well enough in the moment—it has dead things coming back to life, I’m an easy mark—but outside of temporary distractions, there’s not much to recommend and it feels like a missed chance.